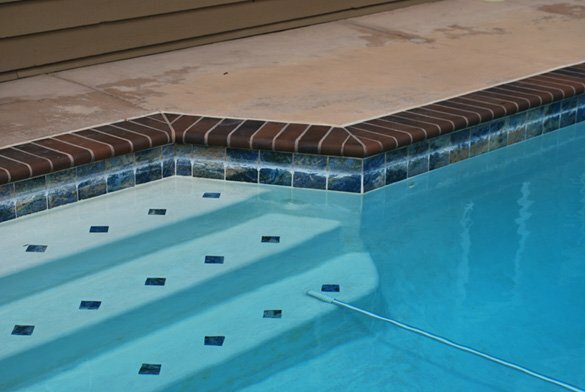 A San Diego homeowner was tired of the ugly white scale on the tie of their La Mesa swimming pool. The husband and wife take pride in their home and were unhappy with the calcium on the pool tile water line. 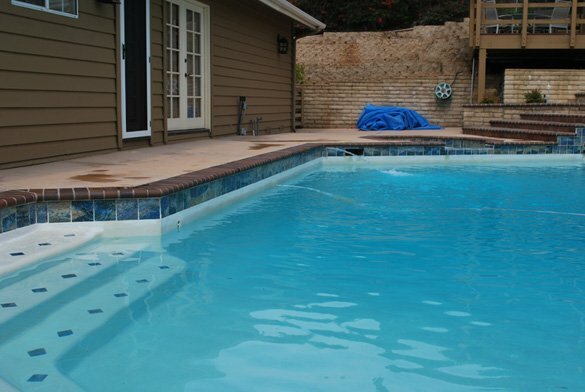 When we first arrived we checked the pool water chemistry and found some issues which the pool owners of informed. 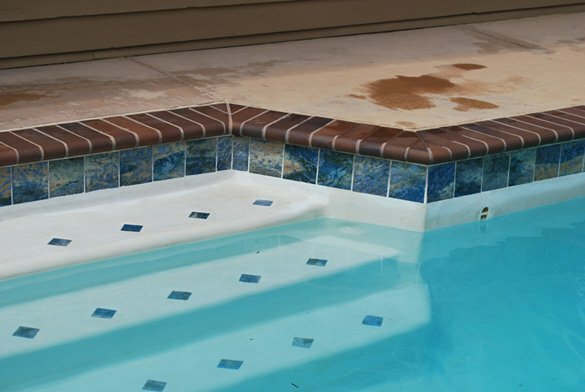 The pool tile was in good condition and showed no signs of damaged from the acid based cleaner or scratches from the pumice stone which had previously been used. 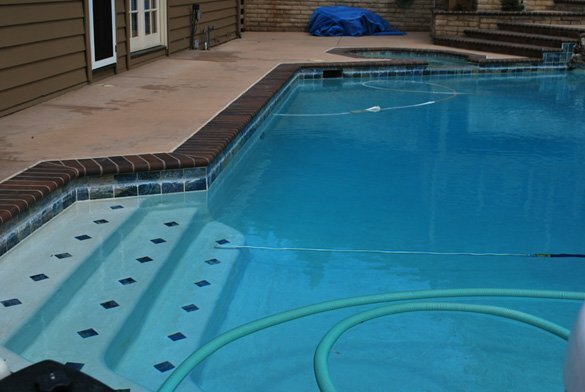 They were not happy with their current pool service company so we recommended a quality pool service company. The pool tile cleaning was scheduled with the homeowners. On our arrival at the La Mesa home we began the tile cleaning by draining the pool water about two inches below the tile. 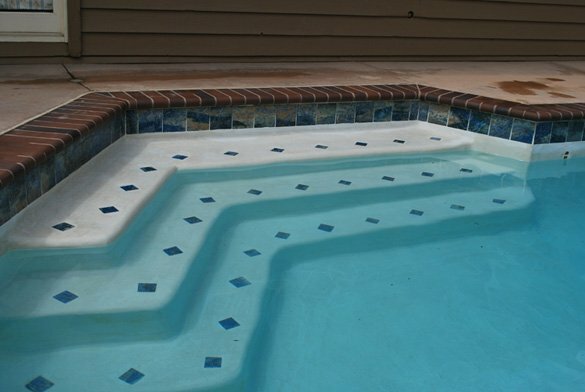 We sprayed the tile in the pool and spa with our tile cleaning system and completely removed the scaling making the tile look brand new again. After cleaning up the mineral material from the pool bottom we refilled the water to the proper level. 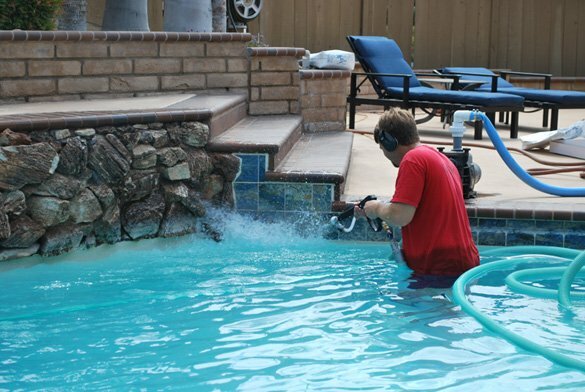 We recommended that the new pool company use a mineral and metal remover such as Jack’s Magic Magenta Stuff. Another happy customer with our pool tile cleaning to remove calcium build-up.